The Fresh Start Scholarship Foundation, Inc. is pleased to announce the 2016-2017 scholarship recipients. 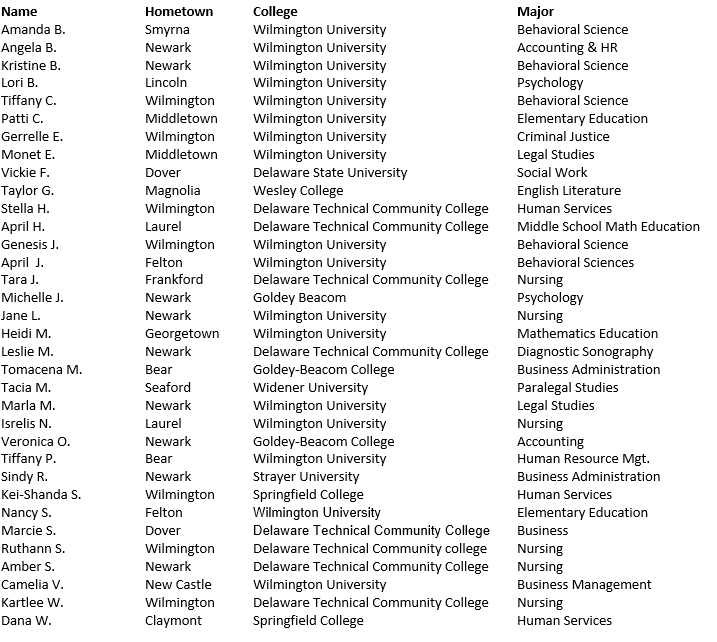 Scholarships totaling over $87,000 were awarded to 34 very deserving Delaware women. This number represents 20 returning scholars and 14 new scholars. They will be attending 9 different colleges and universities in Delaware representing over 15 different majors in the fields of education, healthcare, social services and business. Geographically, 66% are from New Castle County but all three DE counties are represented. Of the 34 scholars, 25 are mothers who are currently raising a total of 50 dependent children. 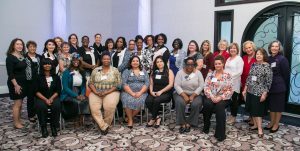 Since its inception in 1996, the foundation has now awarded more than $830,000 in scholarships to 186 women to help them achieve their educational and career goals. This year’s scholars were recognized at the FSSF 20th Anniversary Luncheon on October 14, 2016. Thank you so much for affording me this opportunity!!! It means so much to me!!!! I’m truly grateful, honored, humbled, and thankful that your committee chose me and for your generosity. This is a true blessing. I'm truly grateful, honored, humbled, and thankful that your committee chose me and for your generosity. This is a true blessing. Without everyone from Fresh Start this would not be possible, I appreciate each and every person’s time and donations to help myself and others continue to advance. I would like to thank you from the bottom of my heart for selecting me as one of the recipients for your scholarship. Your contribution towards my education will eliminate my financial worries so that I can truly focus on my studies. I cannot thank you from the bottom of my heart for this. This scholarship will help me in so many ways!!! Thank you very much for this opportunity. It means more to me than could be expressed in words. Thank you so much for your generosity in granting me the scholarship. As I embark on my final year of undergraduate studies and tension is running high, I feel confident in my success with all of you behind me for support. Thanks again and may GOD continue to bless the foundation so that you may continue to bless others.